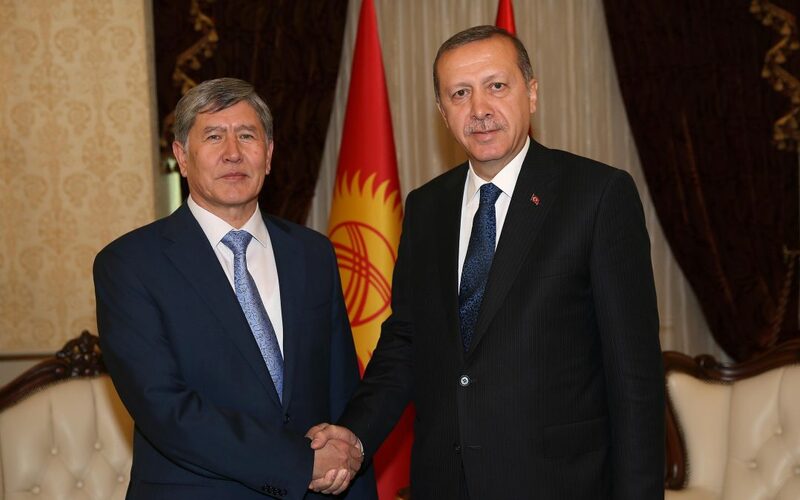 Kyrgyz deputy Omurbek Tekebayev has claimed in parliament that President Recep Tayyip Erdoğan prevented the provision of medical treatment to Kyrgyz President Almazbek Atambayev when he fell ill during a visit to Turkey, according to Kyrgyz news agency KirTAG. The Kyrgyz deputy argued that Erdoğan resented the Kyrgyz president for refusing to cooperate with him in his witch-hunt against the Gülen movement. When Atambayev got sick while in Turkey in September, Erdoğan ordered hospitals across the country to refuse him medical services. Consequently, Atambayev went to Moscow for treatment through the intervention of Russian President Vladimir Putin. The deputy who made the claim also stated that once Erdoğan turns his back on someone, he would never again consider that person a friend. Atambayev fell ill in İstanbul before a connecting flight to New York. This article originally appeared in Turkish Minute on October 8.